The Mares MV is a small, lightweight octopus perfect for entry level divers. The Mares MV Octopus with its small, flat, and lightweight body proves to be an ideal companion for all dives. Its symmetric shape means that it is easy for use on both the right and left sides. The patented Mares VAD (Vortex Assisted Design) system creates a comfortble, demand-controlled air supply at any depth - meaning that it conveys a sense of security when used in emergency situations. The lateral exhaust valve sends bubbles to the side, rather than in front of your face. 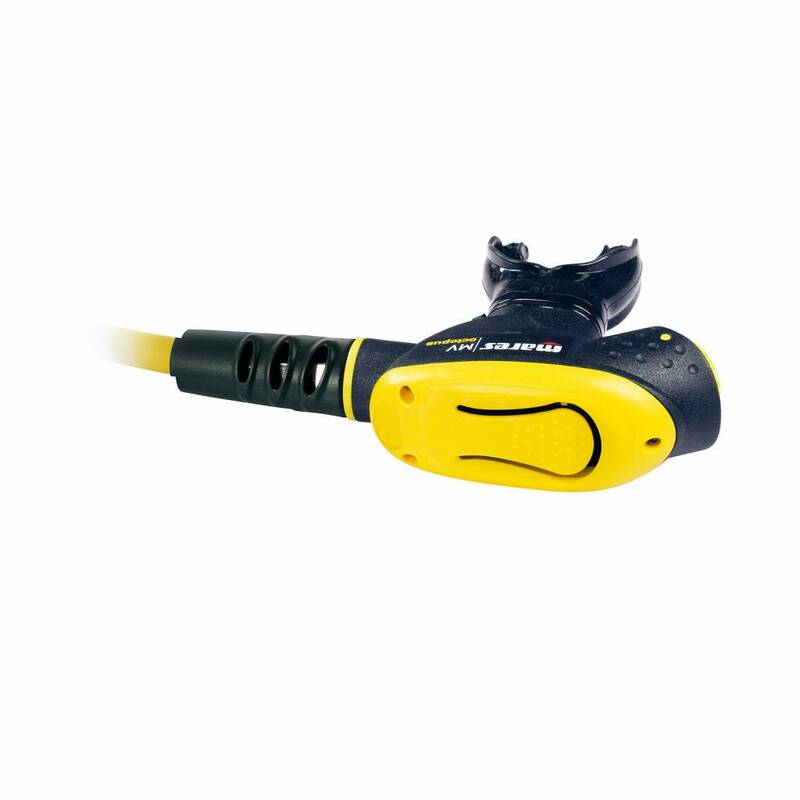 With its high impact technopolymer, teflon-coated demand lever and suitable for cold water diving (below 10c), this is an ideal octopus for entry-level divers.